We love Ontario sparkling wines for many reasons. One being the fact that they’re crafted right here in our own backyard, and another being the fact that they’re freaking GREAT! Here in Southern Ontario growing conditions mirror that of the Champagne in France, and many wine makers take an “old world” approach to crafting their wines. Château des Charmes winery is no exception. It was founded in the late 1970’s by Paul Bosc, a fifth generation French winegrower. Château des Charmes uses sustainable practices to produce a full range of wines, including this Mèthode Traditionelle Brut Sparkling – a 50/50 blend of Chardonnay and Pinot Noir (two of the main grape varieties that make up the famous Champagne “cuveé” – or blend). So let’s get to tasting shall we?! Pale gold in colour, bursting with a glorious effervescence and a prominent mousse. Toasted brioche was what first came to mind, a very Champagne-like aroma off the bat. Bursting with lemon zest, a hint of lime, ripe apple and pear. Secondary aromas included wet stone, honey, and a touch of white pepper. Complex and inviting. Medium bodied, medium+ acidity, with a rich and vibrant mouthfeel. When served at the ideal temperature (not too cold) we found it to have a very robust and complex flavour profile. It started with a rich baked apple pastry note and finished with a hint of spice, almond, and lingering citrus flavours. We love this wine on its own! But it has the body, palate cleansing acidity, and complexity to pair extremely well with almost any dish. From snacks (we love a traditional method bubbly with salty potato chips or popcorn – seriously! ), to a cheese tray (try it with pretty much anything from the Upper Canada Cheese Co. ), to a roasted herbed chicken – we’ll drink this one with pretty much anything. It’s a POP! As we mentioned, we’re big advocates for Ontario bubbles – and Château des Charmes Brut is a shining example! The perfect wine to sip by the fire side and turn your every day (especially these cold, gloomy January ones) into a special occasion! 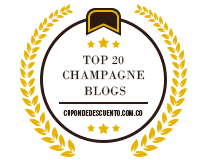 Hey Buddy!, I found this information for you: "Château des Charmes Brut Sparkling – Review". Here is the website link: http://sparklingwinos.com/chateau-des-charmes-brut-sparkling-review/. Thank you.